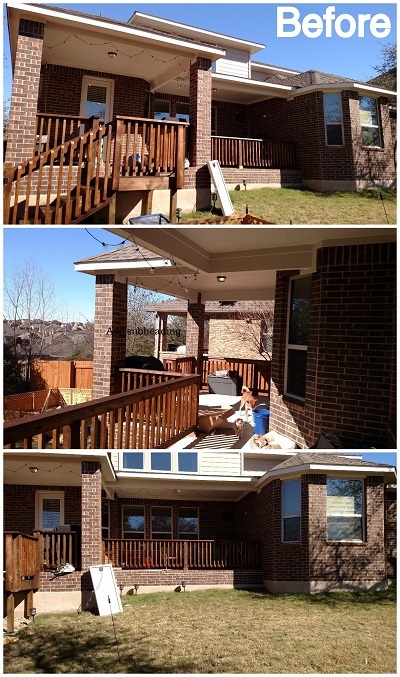 In these pictures you see an outdoor living project gone awry and the results after we accepted the task of making it right. 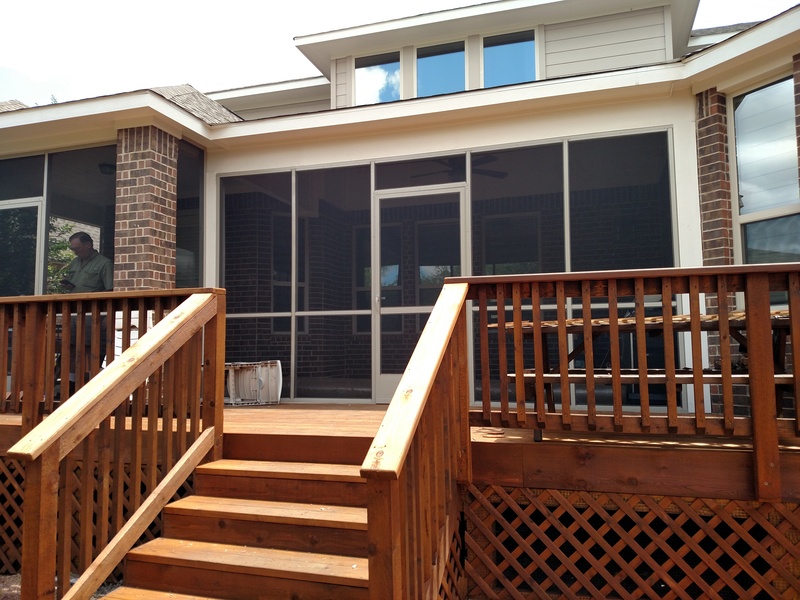 Archadeck of Austin designs and builds porches, patios, decks, outdoor kitchens, pergolas and more — and we can design any combination of those structures. Sometimes we start from scratch. Sometimes we take what another builder did before us, like a patio, and make it bigger and better (much better). Or we take something old like a worn out deck, tear it down, and build a new deck-patio-outdoor-kitchen combination in its place. And then there are times like this. To set the scene, we are in Hayes County, TX, southwest of Austin, outside the Travis County limits. Our clients purchased a new home with an outdoor living space that was nothing like they wanted. It was a brand new home, and obviously it suited them in many ways or they wouldn’t have purchased it. But the outdoor living space at this home was getting a negative approval rating from the homeowners starting on Day 1. The home’s original outdoor living space consisted of a covered concrete porch/patio with a small cedar deck attached. It was all very plain and unappealing. The homeowners knew someone could do a better job of designing and building a more functional and enjoyable space for them. Enter Archadeck of Austin to the rescue. 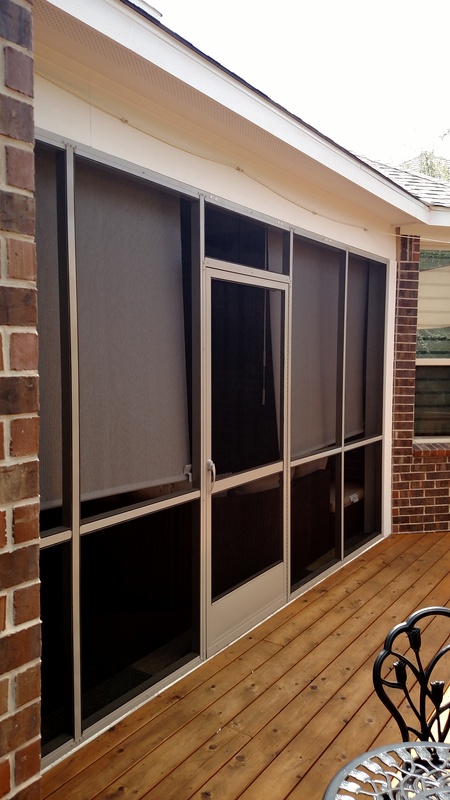 The first problem was the covered porch/patio needed to be screened in. Insects were driving this young family crazy and they needed a no-bug zone. Then, they wanted the small cedar deck extended to cover a larger expanse across the back of the house, and they needed a stairway directly from the deck down to the children’s play area in the yard. It sounds simple enough, but it was actually a complex project. We took out the Hardie Board ceiling over the porch and replaced it with a beautiful tongue-and-groove ceiling by Synergy Wood. We removed part of the roof on one side and built a new roof extension that came out deeper toward the yard. Of course, you can’t tell a difference where we extended the roof; it all blends in and looks original, as it should. We also had to demo some brick off the wall on the outside of the house in order to attach some of the new work directly to the original concrete substructure. Finally, we built soffits to match the original construction so that everything tied together. Once we had finished, framed and painted, we were able to install a wall of screen. 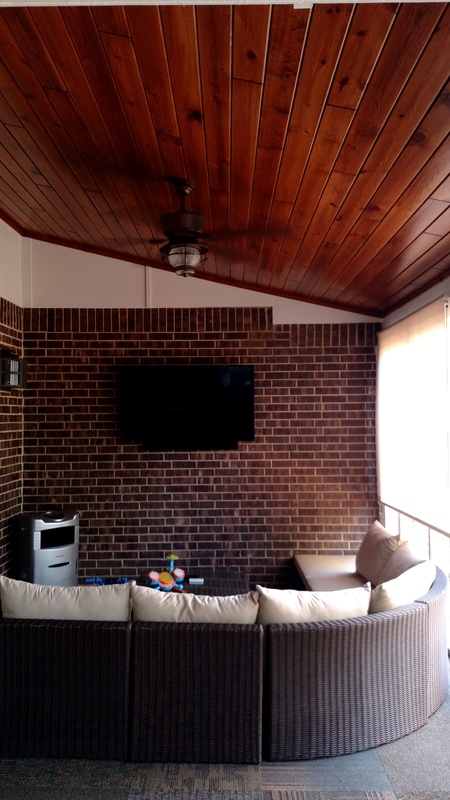 Now the original porch/patio is a screened porch with a TV and seating area, and on the other side of that screen the family has a bigger deck with sheets of cedar lattice along the underside. It feels like all is now right with the world, at least in this corner of Hayes County, TX. Our work is done here, and we have the Before and After pictures to prove it. 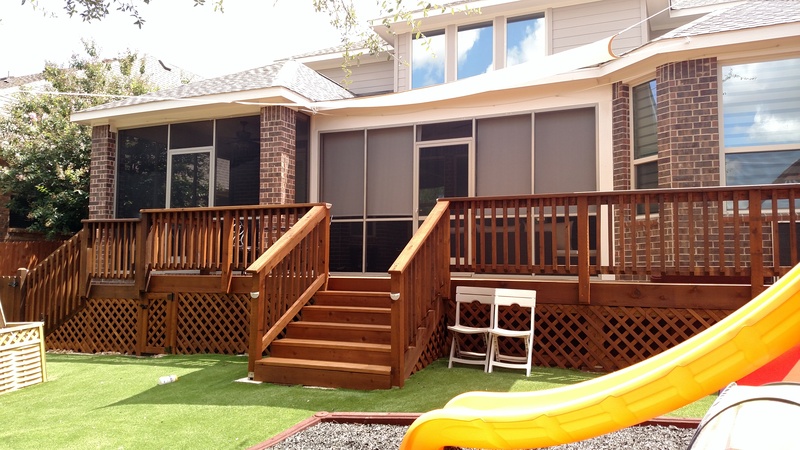 If you’re interested in reconfiguring your outdoor living space without having to tear it out and start over, contact Archadeck of Austin today at (512) 259-8282 or via email at jim.odom@archadeck.net to schedule a free design consultation. 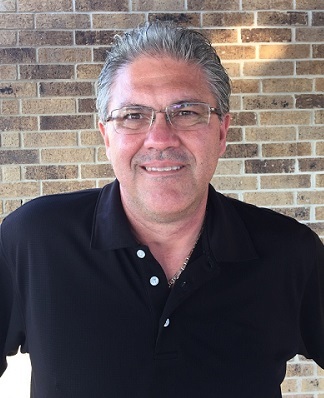 This entry was posted on March 9, 2018 by austinporchandpatio. It was filed under Archadeck of Austin, Austin patio cover, Covered patio Austin, Covered porches and was tagged with Archadeck of Austin, Austin covered patio, Austin deck builder, Austin screened porch builder, Hayes County TX Covered Patios, Hayes County TX Screened Porches, Hayes County YX Deck Builder.